The Mobile Cassette Adapter from Belkin easily connects your portable MP3, CD, cassette player, PC, or laptop to your car stereo, through your car's in-dash cassette player. 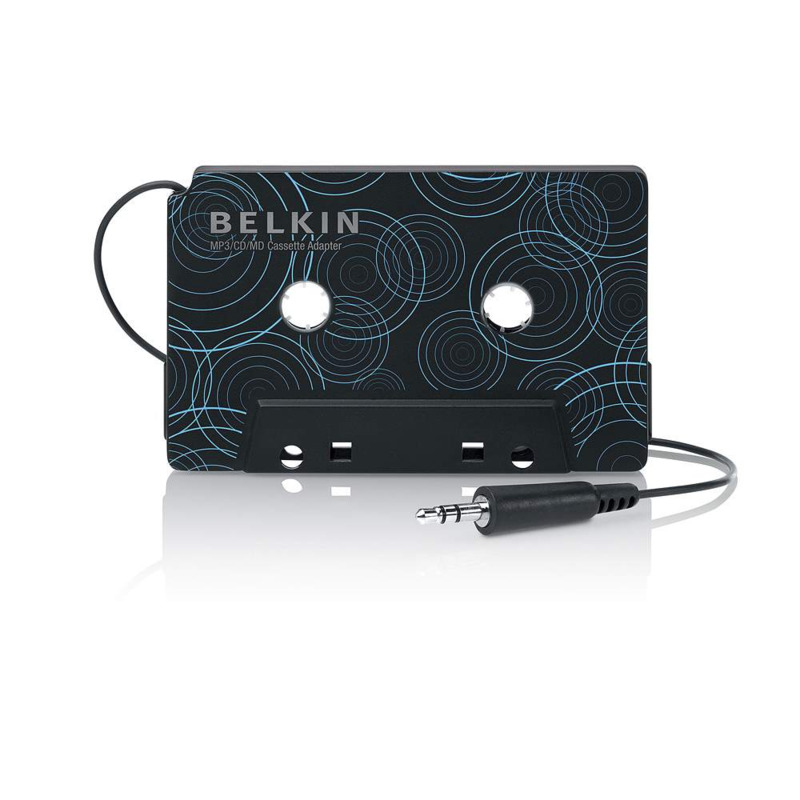 It provides an easy way to transfer quality sound from any portable audio equipment to your car stereo while on the road, on the beach, camping, or anywhere you would use a portable tape player. Designed for outstanding audio performance and use on the road, the Adapter reduces noise by automatically maintaining the correct tension within the cassette deck as you drive.